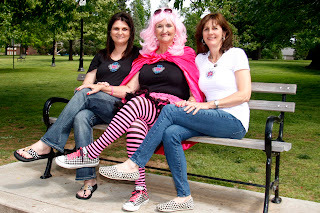 I was asked to take part in a photo shoot a couple of weeks ago with Happy First owner Debbie Vinyard and Turn Tulsa Pink founder Judi Grove. 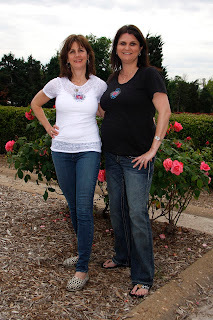 Let me just say if you do not know these ladies, you totally need too, they RHOK! 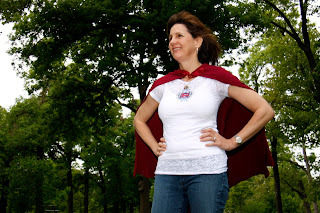 We modeled the Super Chick shirt that I named with all of your votes-thank you so much! Happy First is donating 30% of the profits of this shirt to Turn Tulsa Pink through May 31st. Turn Tulsa Pink raises awareness and honors women and children who have been affected by cancer of ANY type. The shirt is available in black and in a white burnout. Here are a few of the shots from our fun shoot. Super Chicks in Woodward Park- note our great taste in shirts and black & white shoes- totally not planned! Judi aka Talula and the "phone booth"! What? 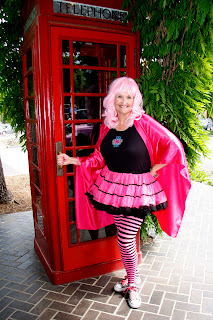 Every Super Chick must pose by a phone booth! Debbie Vinyard and Mrs. Hart- Super Chicks "dig" roses, or at least we stopped and smelled them! 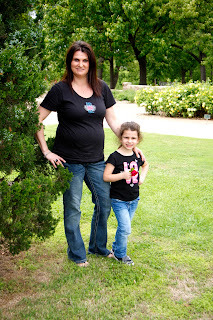 Mrs. Hart and her little chick. Debbie looks beautiful in her red cape! Just a swingin'! 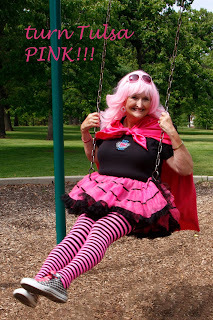 Judi, flying high in her pink cape! Special thanks to Kathleen Curran Photography for all of these amazing shots! Stay tuned to all of our Facebook pages for upcoming events, hope to see you at Chili's in Owasso on May 1st for Cinco DE RHOKo'! Giveaways! Free Food! And as always FUN with The RHOK!! !